So with less than 6 weeks to go until the big man arrives, we are finally getting into the festive spirit here at Butlers with Bums! The lights are out of the loft, the baubles are getting a good dusting and the tinsel will soon be decking the office! Decorations and gift ideas are absolutely everywhere you look and the pogues are creeping into the shops. Only a real scrooge can dodge the fact is almost here!! We are of course talking about CHRISTMAS!! 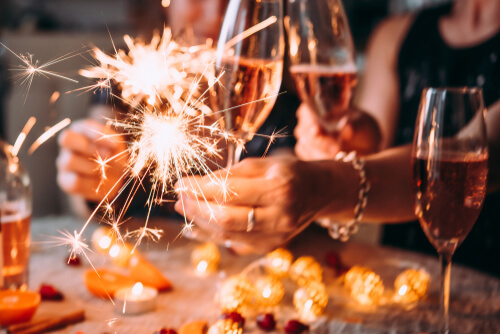 Butlers with Bums love a good Christmas party, our Butlers can come and help serve canapes, pour prosecco, play Christmas party games and of course pose for photos with your guests! What better excuse to have a cheeky chap come and wait on you whilst you shimmer and shine your way through a good party with your nearest and dearest than a Christmas do!! With so many venues popping up these days choosing the right venue for your Christmas party can sometimes be a bit of a nightmare. Perhaps you have left it to the last minute and still haven’t booked yours yet!! 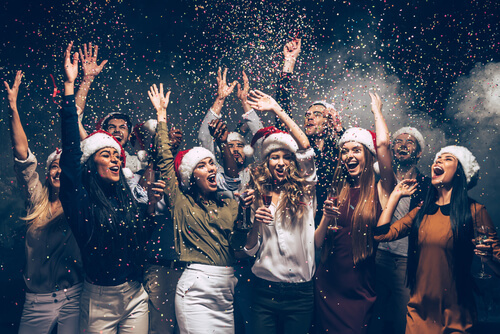 Here are our top tips for having a successful Christmas party! Be sure to invite people properly, word of mouth can be great but if you don’t send an invite to rsvp to you people often forget to save the date! You want someone to share your handsome butler with after all! Check what decorations the venue can do for you. Some venues will include crackers, party poppers and decorations in the price which saves you the hassle and cost. Book a venue that everyone will enjoy, think about the diversity of the group. Remember you want as many people as possible to attend. Include food if your budget can stretch to it, it saves a lot of drunk people too early on and will keep people there longer. It might even help prevent too many drunken kisses under the mistletoe! Book a gorgeous buff butler from Butlers with Bums to take the stress away from hosting the party so that you can relax and enjoy the event knowing that a professional has it all under control.